A group of eight women poets with Galway connections have shared their experiences of breast cancer in a newly published anthology of poetry. 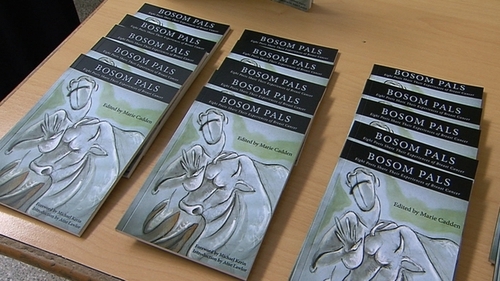 'Bosom Pals' is a new collection of poems featuring eight women with Galway connections all who have had experiences with breast cancer. Robyn Rowland and Lorna Shaugnessy. The project is the brainchild of Marie Cadden, who was inspired to put the collection together to support Breast Cancer Research after realising so many of the women she knew in the Galway poetry scene also had experiences with breast cancer. October is Breast Cancer Awareness month and there are 2,800 new cases diagnosed in Ireland each year. One of the leading research centres in Ireland is the Lambe Institute at University Hospital Galway where the Breast Cancer Research Charity carries out its work.